It was a surprise, but a very welcome one, when a “family reading time” was introduced to our daily routine. This was not an initiative of us parents or a suggestion from school to improve kids reading. The child of the house had introduced it. Whether our children are reading enough is often a concern for parents and for schools. There is rightly an emphasis in schools on kids reading. “Are children reading enough?” – is probably a good question to ask. Another question which comes up a lot is, “are they retrieving the correct information when they read?” And kids are tested on their reading in schools from an early age. There has been controversy over the SATs reading tests in UK schools. My impression is that the tests seem to be at best unhelpful, and at worst damaging. It’s worrying that reading for pleasure has become a lower priority than to gain the skills to pass a test. Often the supposed correct answers to the tests are restrictive and unimaginative. There are all kind of problems with the tests. But that’s not the main reason for my post, so I will leave this subject with a fabulous satire on them by Michael Rosen. Beyond testing, when children are interested in books and loving reading, the benefits are immeasurable. Getting into a narrative encourages children to be creative, to imagine worlds and other lives, and to explore knowledge. One of the most immediate benefits is reason enough for us as adults to get excited about the potential. When a child gets enthusiastic about a story or a character and they can’t wait to find out what happens next it’s a wonderful feeling. It’s wonderful both for them and for those around them when they tell us all about it. So how do we create a pleasure in reading? You can’t force or manufacture this. 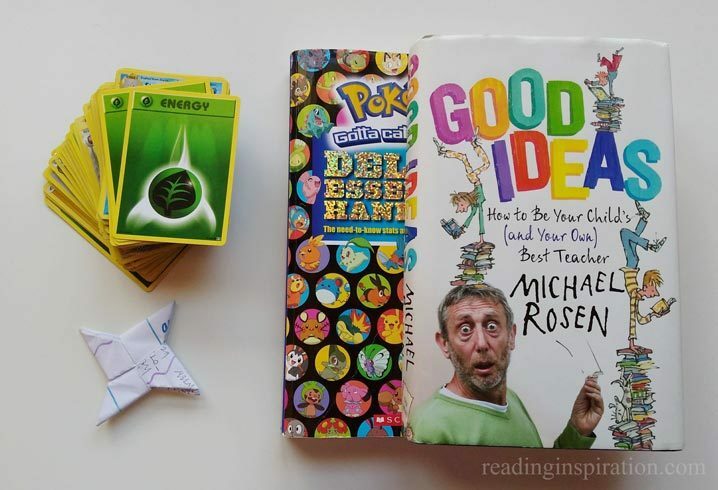 Some of the best advice I have ever come across was again from Michael Rosen. In his Good Ideas he writes about the importance of reading to and with children. Another aspect is to just allow children to “browse”. They can browse library shelves, browse bookshop shelves, comics, papers. Browse anywhere or anything really, even sorting out collections of cards or stickers has the benefit of allowing children to find their interests and to explore them further. I was reminded of this last weekend when a friend’s younger child visited. We had a pile of younger children’s books that we needed to give away to make room for new ones. He browsed through them and picked out the ones that he found most interesting to take home. If you have a lot of books at home and your child sees adults reading too, it helps to cultivate an interest in, and atmosphere for reading. Having access to as many books as possible, that children can sort through, and find their way to the ones they love is important. If you don’t have access to lots of books; second-hand book shops, table top sales and libraries are great ways to get hold of more books. Author Alan Seed has created a simple list of things to do if you want your kids to read. Handed down books from other children in the family or from friends is another great way to share the book love. My son benefited from borrowing some books from my cousin’s children who were already in their twenties. The books were well-loved and all the better for being shared and passed around. Now some of them have been passed on to our friends with younger children. My personal experience of parenting angst over my child’s reading has been a bit of a roller coaster. When my son was in early years, I was told that he was below expected levels for reading for his age range. I am sure this is not an uncommon experience for parents and carers. One problem for kids reading is that very early in life a lot of children or their parents, are being told they are below expected levels. Such a pronouncement can really knock kids confidence and enthusiasm for reading. For my son the above conversation happened at age 6. I have heard from other parents who have had similar experiences when their children were 4 or 5, putting pressure on both the parents and the children. We know that children in some other countries start school and learn to read much later than in the UK. And we know that all children will develop different skills at different times and at different rates. Confidence in their reading ability is no different and will come to children at different ages. For a while the pronouncement created frustration and anxiety for us. But putting the judgement aside, at home we continued to do things the way that made sense for us. Reading. Getting books out. Taking turns reading them. 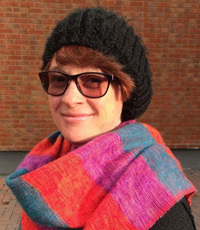 Going to the library and second-hand book shops. Choosing books together. Reading them. Somewhere between the age of 7 and 8 we noticed a huge step forward. We saw this at home as our son ploughed through chapter books like How to Train Your Dragon by Cressida Cowell at a quick pace. Previously he would only read these books with an adult. He would read one bit out loud to us. Next the parent would read a bit out loud to him. A time came when we noticed he was reading ahead independently on his own. He was telling us spoilers. Noooo!!!! Oh hang on, yesssss! He loves reading. A bit of time later and we can hardly keep up with his reading. We are always impressed with how much he is reading and his enthusiasm for the narratives he is reading. So, a few days ago he organised a “Family Reading Time”, and now this is a daily part of our routine. This happens a bit earlier than his usual before bed reading with an adult. At this time, phones or any other screen devices are banned – his rule, not ours! First he asks us to share a bit about our day, and then we all sit and read together quietly. This made me step back and think about how the roles have reversed. We are no longer the parents worrying about our kids reading. We are now the ones being encouraged to put aside our devices and read a book. In the last few days I’ve concentrated more on the books I am reading and read more. And from classic fiction to dystopian reads, it’s all good! I’ve relaxed a bit more in the evening instead of scrolling down pages of social media. How about you, what have you found works well for reading with children? Please share your thoughts and suggestions in the comments below. Find lots of great book suggestions for children and parents here.